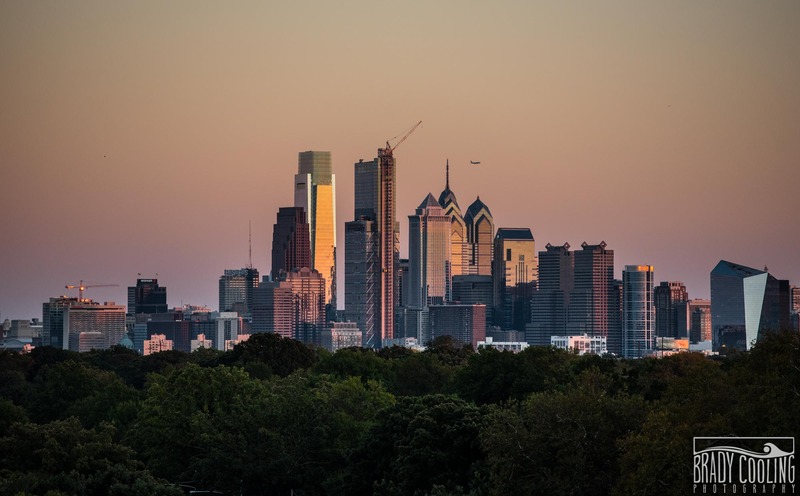 The beautiful skyline of Philadelphia, PA taken at sunset. A Philadelphia sunset taken from atop the Mann Center at sunset. Featuring the beautiful skyline and an airplane flying by in the distance!